To bury all his money in a hole. A-buying cheese and crackers for a mouse. The name “cracker” comes from a fateful day in the spring 1801 in Massachusetts after a hard winter, when Josiah Bent accidentally burned a batch of what we now call crackers. Josiah Bent also an avid sailor was experimenting with hard tack, biscuits made of flour and water that would not deteriorate during long sea voyages. He was preparing for a long voyage with Captain Cook and was determined to find a solution to the problem of long term food storage. When a speeding carriage passing by lost it’s wheel, and crashed into the side of his house. Bent being a calm sort of person , went to investigate the noise. The carriage lay over turned on his lawn, the driver crushed, and the passengers stunned milled about his yard in shock. While performing basic first aide he smelled burning biscuits and ran to his kitchen. Smoke bellowed form his wood stove, clearing the air he pulled the biscuits from the oven and remarked how they crackled as they smoldered. He later discovered the soda cracker that we eat today, also solving the problem of queasy stomachs while at sea. Kids love crackers, crunchy, toasty and smeared with peanut butter or topped with cheese, hot out of the oven. Listen for the patter of little feet, and voices asking please when the oven door is opened. The cracker has a long history, ancient flatbreads, such as lavash, pita, matzo, flatbrød, and crisp bread are among the types of crackers served through out the ages. Asian analogues include papadum and senbei. 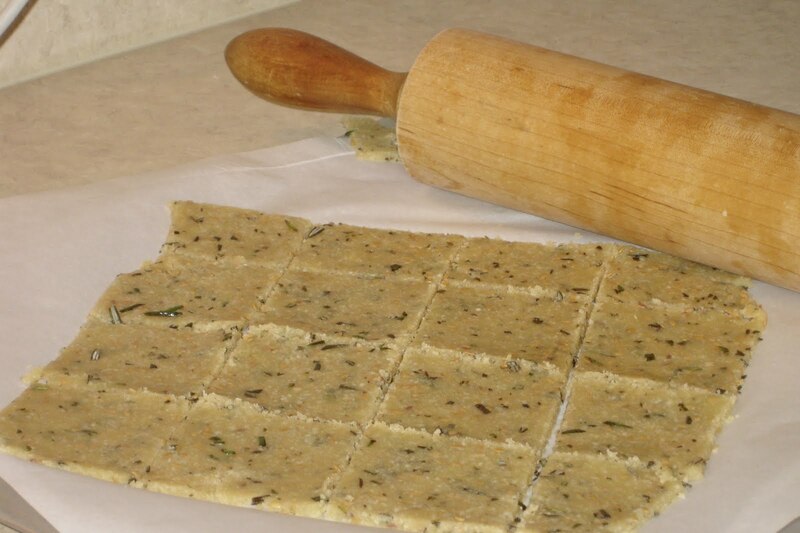 Crackers are the most simple and most cost effective recipe to introduce kids to baking. Kids can measure, mix, knead, roll and cut and perforate. Ever wonder how the cracker got it’s holes? The holes in crackers are called “docking” holes. The holes are placed in the dough to stop overly large air pockets from forming in the cracker while baking. 1. Heat the oven to 450°F: Place a rack in the lower third of the oven and heat to 450°F. Sprinkle a baking sheet lightly with flour and set aside. Mix together the dry ingredients: In a medium bowl, whisk together the flour, sugar, and salt. Add the oil and water: Add the oil and water to the flour mixture. Stir until a soft, sticky dough is formed. If the dough is too dry add a tsp of water to adjust. Cover the dough with a damp clothe and let rest for 20 minutes. Mean while preheat the oven to 450. Roll out the dough 1/8 thick and cut into desired shapes. Bake the crackers until crisp about 12 minutes.